The venerable F-150 has a proven track record of being Ford’s best selling model. 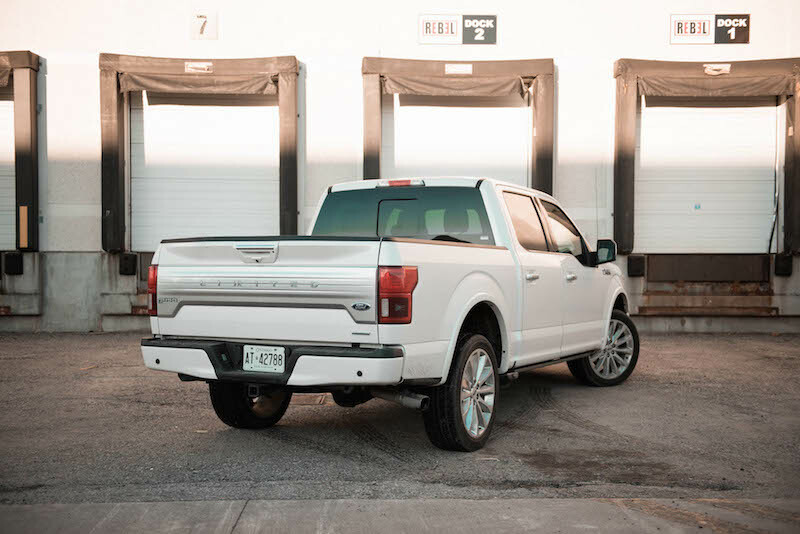 Though other automakers will tell you that its new aluminum body simply won’t be durable enough to handle a rough and tumble lifestyle, the truth is, a sizable portion of F-150 owners won’t even be subjecting their beloved pickup to those kinds of situations. 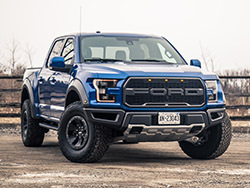 In fact, Ford has designed their best-seller to accommodate almost every single buyer’s needs with over four million different configurations available, including those who see their truck as a luxury item. 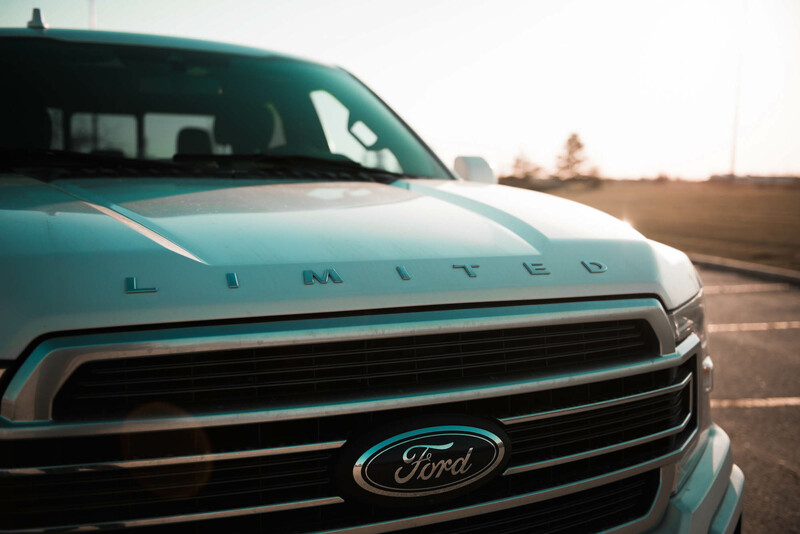 And here is where the top-trim and most expensive F-150 you can buy comes into play, the Limited. 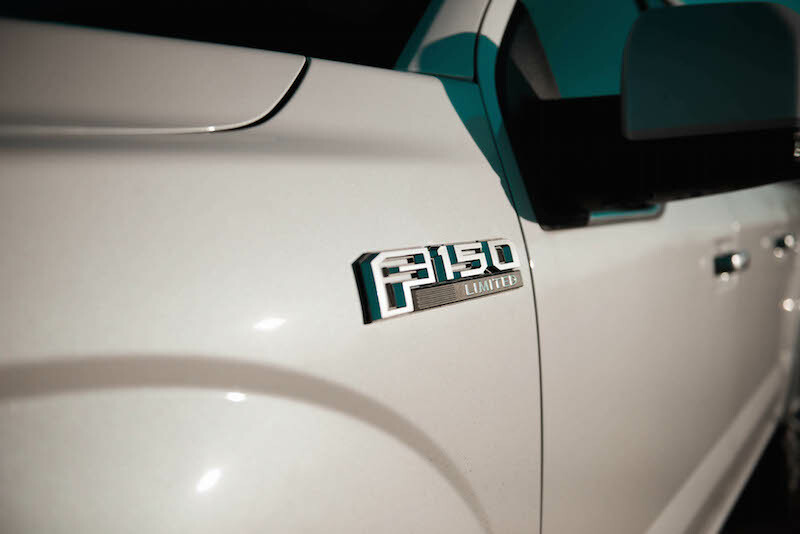 While base F-150’s start at a mere $25,865, the F-150 Limited commands a $63,145 price tag from the get go. 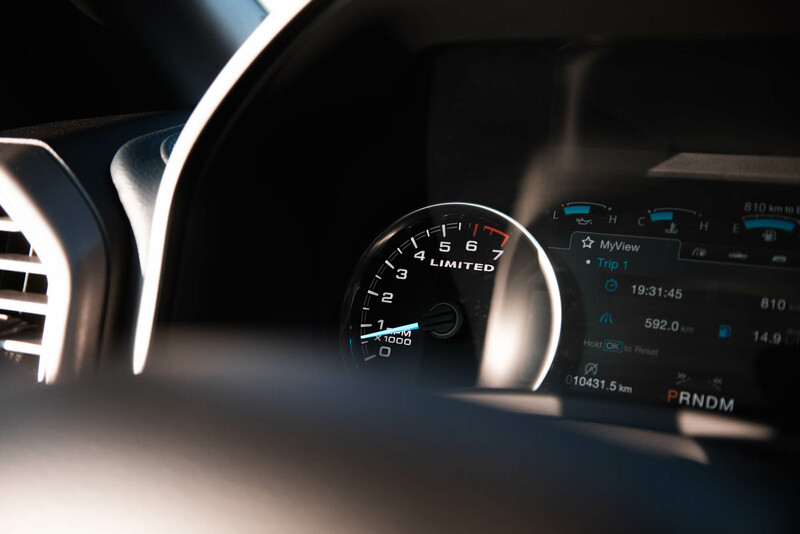 The specific one we tested was also loaded to the brim with options typically found in more premium automaker’s configuration sheets, and came in a hair under $80,000. So what do you get for 80 large? Well to start, the entire aesthetic of the truck has been reworked for 2018. 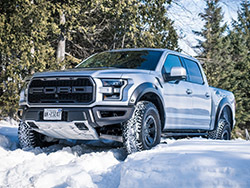 Ford has updated the front grille design, front and rear bumpers, tailgate, and wheels. Those who opt for the exclusivity of the Limited trim get a unique grille, LED lighting, and Limited lettering brazen on the hood and tailgate. 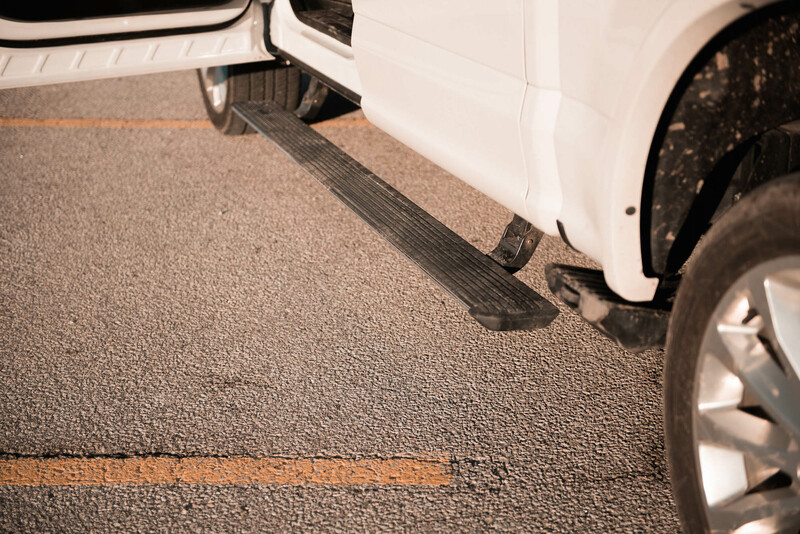 A standout party trick sure to please are the power running boards that fold out when the door opens - can you say blue collar bling? 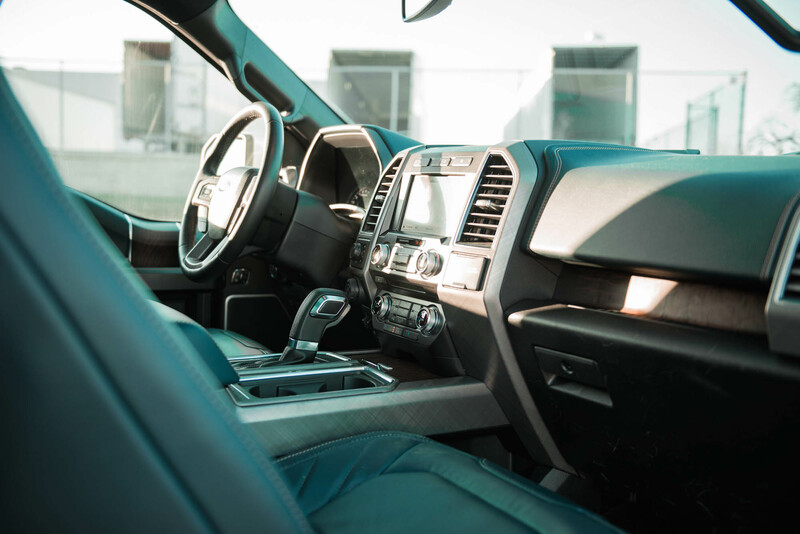 Climb aboard (believe me, this is a very literal description) the cabin and you’ll be greeted by an interior that’s rather unbecoming of a Ford. They call the colour of the leather Navy Pier, a rather deep muted blue. Interspersed throughout are dark brown wood veneer accents that play well with the luxury theme. On first pass, the effect makes for a seemingly upscale cabin. 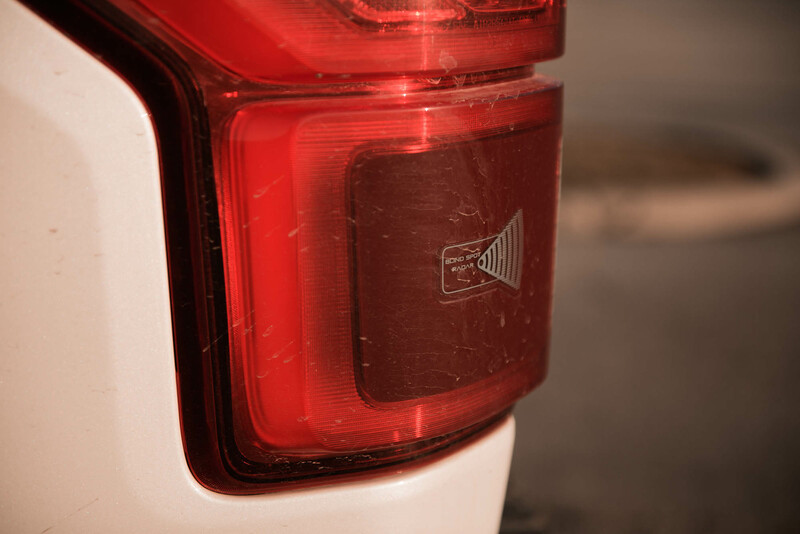 Look closer though and the F-150’s workhorse roots begin to show. 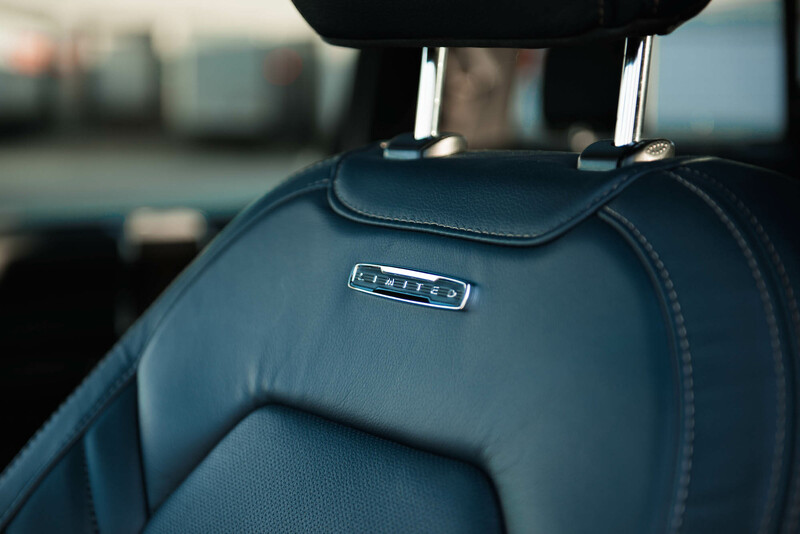 There’s hard plastic scattered throughout, particularly around the infotainment system where it’s too costly for Ford to retool and redesign, a minor setback that is compensated with cabin comfort and modern tech. 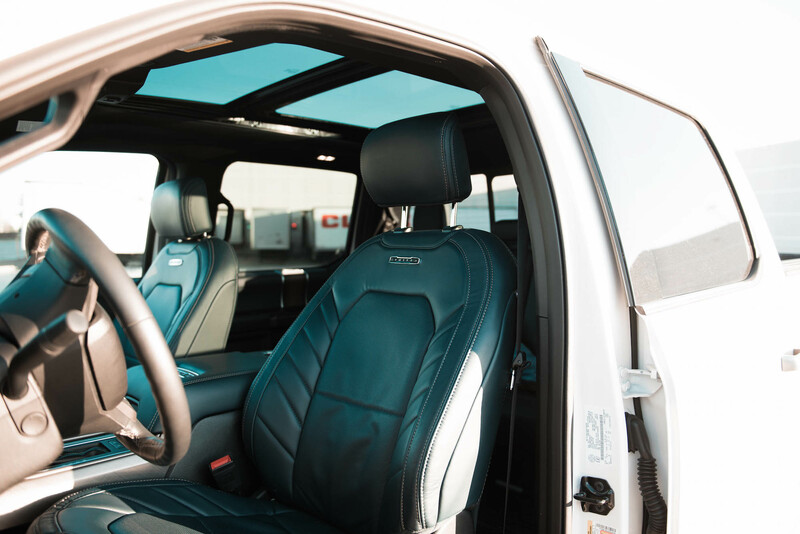 While heated and ventilated seats are pretty standard for the luxury segment, the folks at Dearborn step the F-150 up with a massage feature too. When in operation however, it’s definitely one of the loudest massaging seats I have experienced. 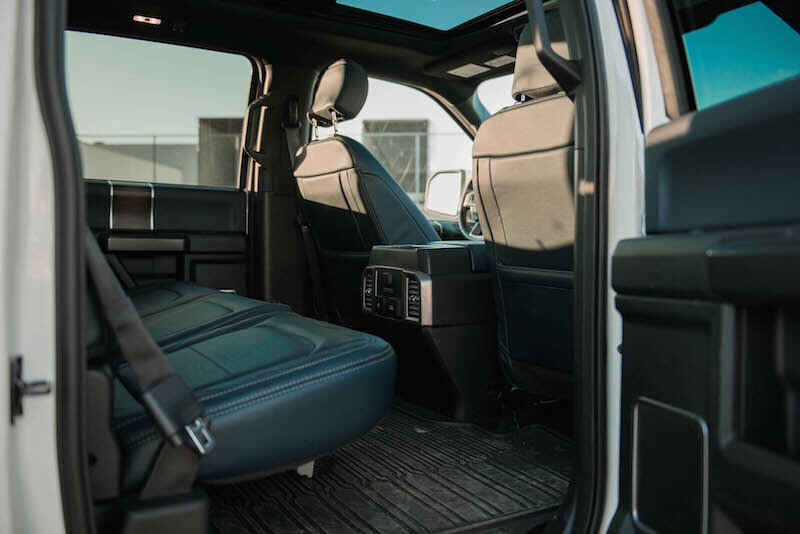 Situated above the passengers are two moonroofs that take up the majority of the overhead real estate, furthering the illusion of the SuperCrew’s roomy cab. Ford is pretty serious about their sound system too - you can forget about any Rockford Fosgate systems here. It’s all Bang & Olufsen. Aiding drivers are a myriad of cameras and tow modes, allowing for some pretty clever tricks that include an automated parallel parking system and a blind spot monitoring system that will accommodate the length of your trailer. 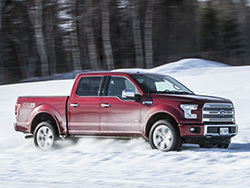 Under the hood sees the largest reworking of the F-150 lineup. 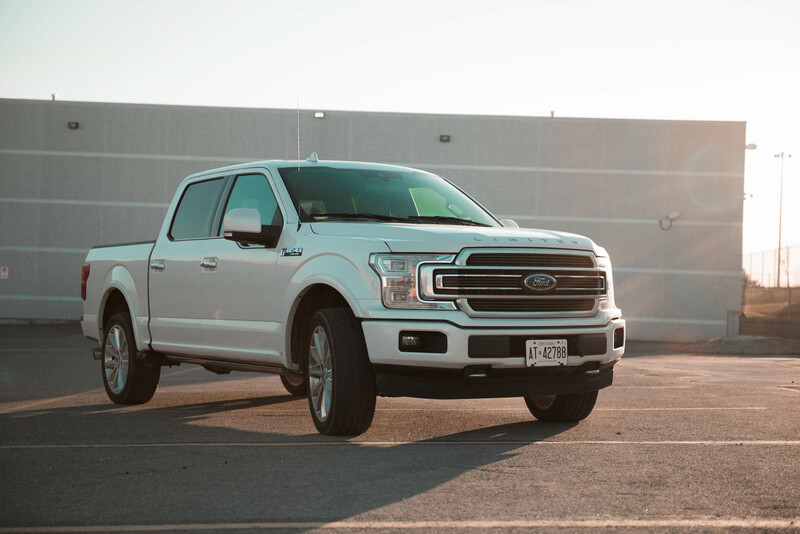 Three V6 powertrain options are present: an all-new naturally aspirated 3.3L V6 for base trucks, a 2.7L EcoBoost, and the 3.5L EcoBoost that we personally tested. Ford hasn’t forgotten the classic 5.0L V8 though, which has been adapted for better power and torque delivery. All models now receive auto start/stop technology. 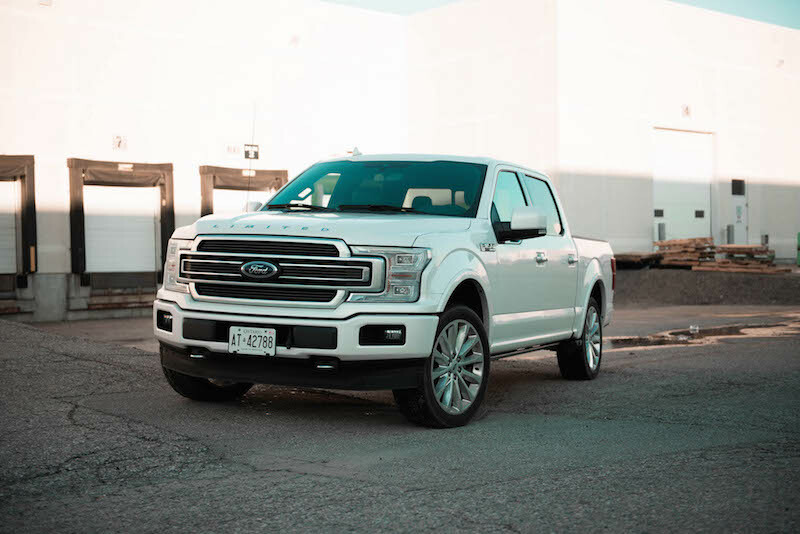 Moreover, all but the base 3.3L are mated to a 10-speed automatic transmission allowing for increased fuel economy and additional towing prowess. This particular Limited came equipped with the 3.5L EcoBoost V6, producing 375 hp and 470 lb-ft of torque at 3,500 RPM. I had originally thought the 10-speed would result in a powertrain that’s always searching for the right gear, but in reality the gearbox is a good match for the V6. Shifts came quickly, smoothly and were largely imperceptible. Even with the bed fully loaded, the transmission kept the motor within its torquey power band whenever extra propulsion was demanded. Handling the big truck was a doozy in the tight downtown streets of Toronto. The turning radius was surprisingly tight, and the cameras helped to navigate around narrow parking spots, but it’s still a large vehicle no matter which way you swing a meter stick at it. 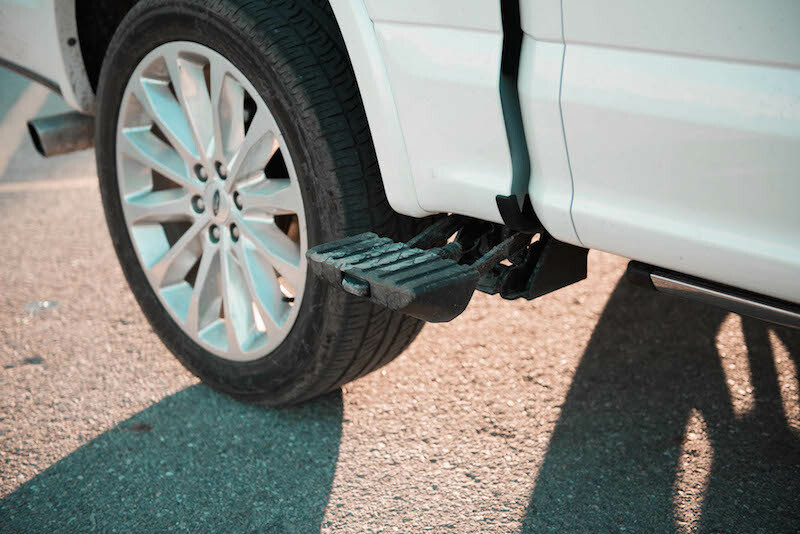 What I didn’t expect was the rather harsh ride on pothole ridden streets, particularly around undulating surfaces where occupants would be jostled about as the axles pitched and rolled. Certainly a contributing factor are the large 22-inch wheels. 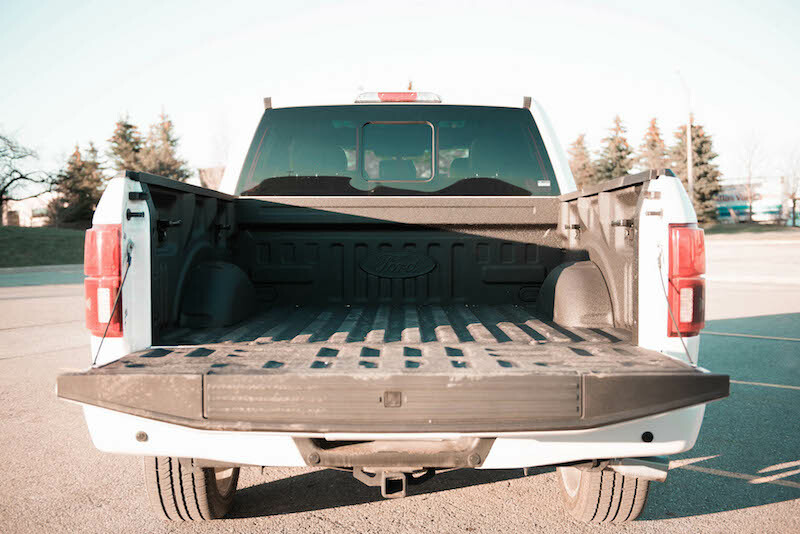 While the plasticky materials might give hints of this truck’s roots, it’s the ride quality that betrays the otherwise luxury feel. 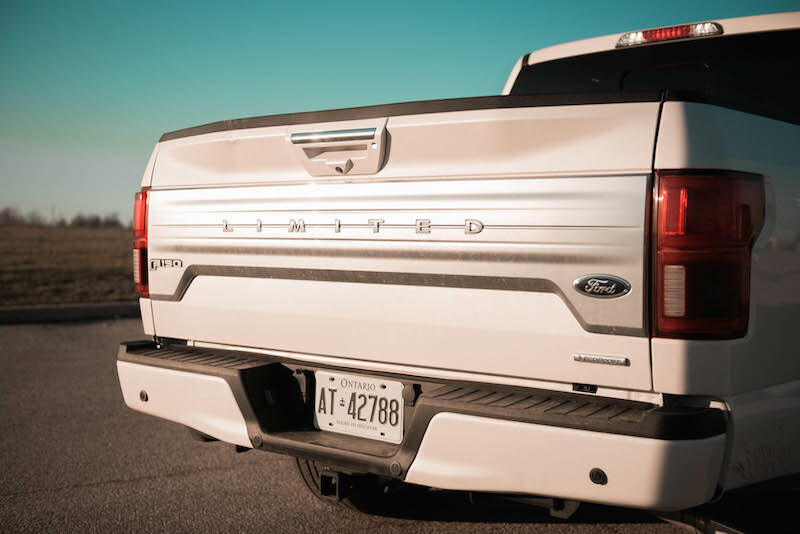 At an as-tested price of $79,949, the top dog F-150 certainly looks the part. 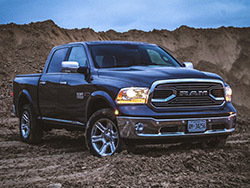 There are loads of new tech and premium features that make this a superb, dare I say it, luxury truck to spend time in. Unfortunately, it only takes a short journey behind the wheel to realize that this is still a jobsite workhorse first and foremost. 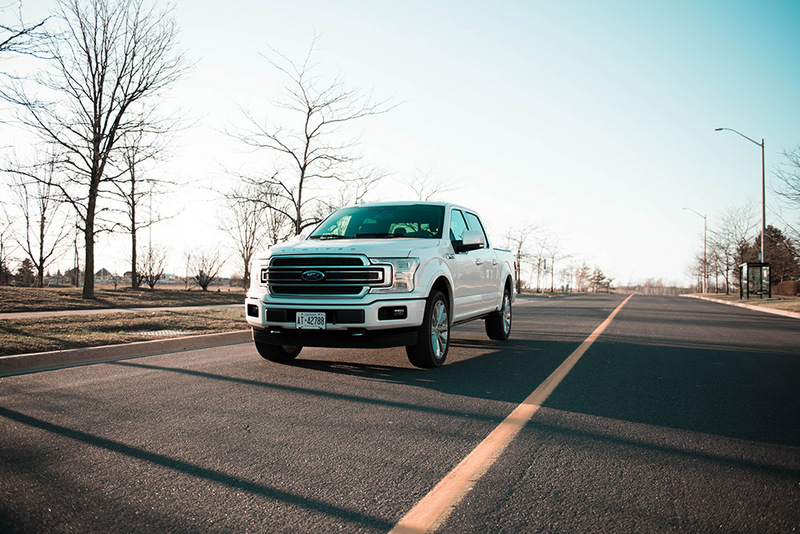 The F-150 is an extremely capable truck in its own right, and we don’t doubt its towing and storage prowess, but all the dressings in the world can’t fully hide its humble origins, making that equally monstrous price tag rather difficult to swallow.